We want to make sure your dog is thoroughly entertained, happily playing and mentally stimulated throughout the day. 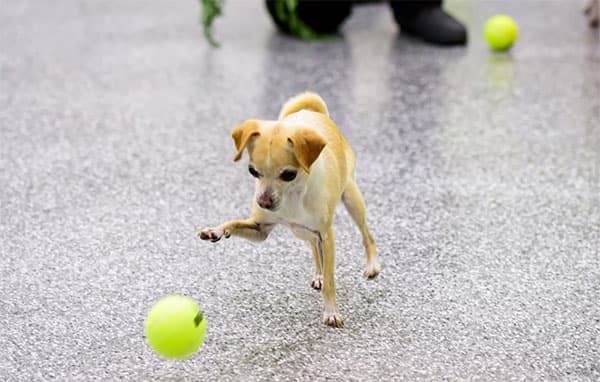 With a variety of games and toys, they’re sure to have a great experience at our popular Dog Daycare. Each dog just has to pass a simple evaluation, so you know every dog there is safe. To learn more about it and set up your own dog’s evaluation, give us a call any time. 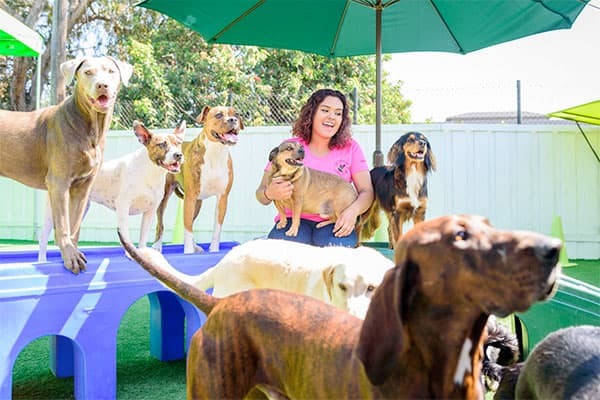 To learn more about our the daycare program itself, just head to our dog daycare page. New Clients Only. Cannot be combined with any other discounts or offers. Must mention when purchasing. Only one promotion per customer.